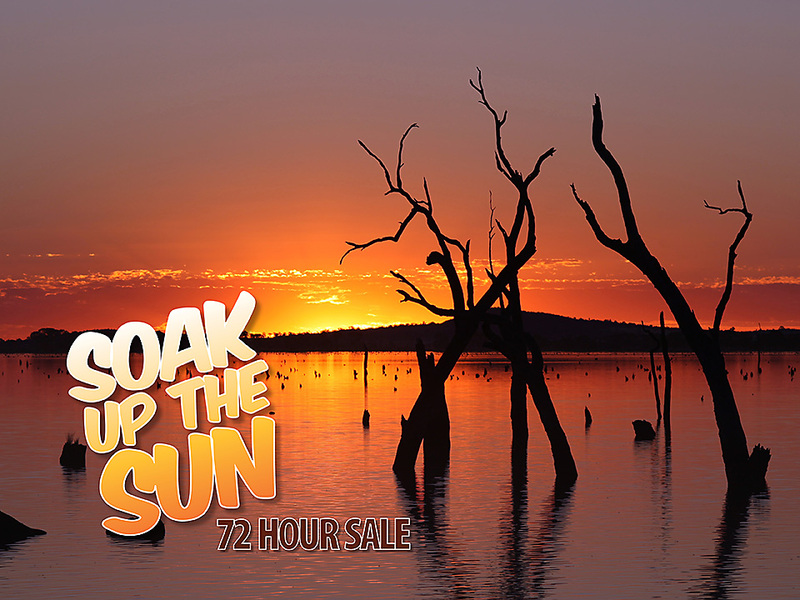 Soak up the sun and save in Cohuna Waterfront Holiday Park’s 72 Hour Sale. Enjoy a holiday by the water and take advantage of what’s left of the warm weather, Stay 2 Nights and Save 20%* at Cohuna Waterfront Holiday Park. Located 50 minutes’ drive from Echuca on the banks of Gunbower Creek, in Victoria’s north east, the park offers a range of accommodation including two bedroom cabins, as well as powered and unpowered sites for caravanning and camping. The kids will love the jumping pillow, swimming pool and playground, not to mention the tennis and basketball courts within the park. Fish from the banks of the creek, or meander through the waterways by kayak. Sale includes April school holidays on selected room types. Ends Friday, 19 February – don’t miss out! ^Rates advertised above are per night, twin share and already have discount applied. On sale from 10am (AEDST) Tuesday, 16 February, 2016, until 10am, Friday, 19 February, 2016. Valid for travel from 16 February, 2016 – 30 June, 2016. Minimum 2 night consecutive stay applies to receive discount. Discount is applicable on bookings of 2 nights or more. Seasonal minimum length of stay applies. Prices subject to exchange rates and currency fluctuations. All rates in AUD unless otherwise stated. Available for new bookings only and cannot be combined with any other offer, other rates or coupons. Offer is to be paid in full. Bookings must be pre-paid and non-refundable.